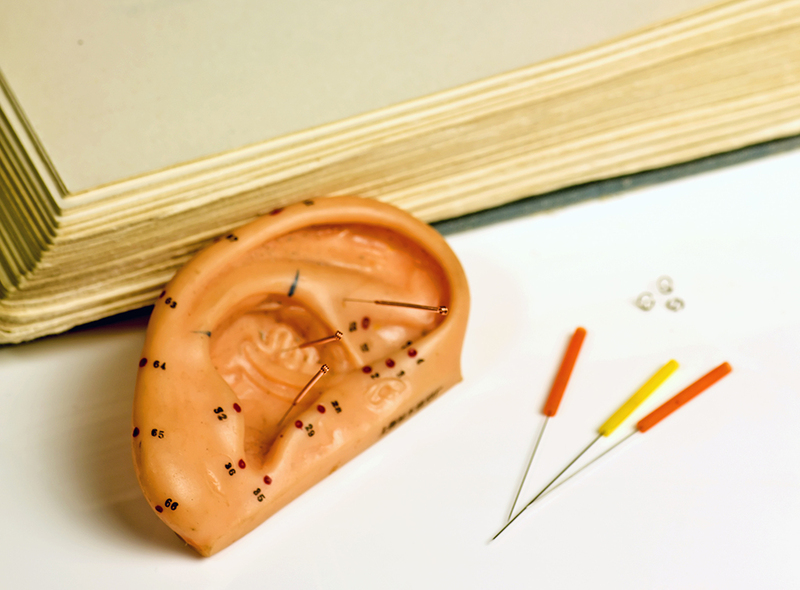 The acupuncturist inserts fine gauge, sterilized needles into five designated points in both the outer ears, just under the skin. The needles are disposable. The patients relaxes in a chair for about 45 minutes either in a group setting or individually. These five ear points are standard points for the treatment of dependency, anxiety and post-traumatic stress. The NADA method used today is the result of many years of clinical development and practice. It can be carried out by professionals in their own healthcare settings after sufficient training ad hoc. The NADA method is easy to apply, inexpensive, accessible and compatible with other cultures, countries, religions and societies. It is a low-threshold treatment (the person is not obliged to be abstinent).